On 13 September 2010 the world’s biggest chocolate was constructed in Armenia, but the cocoa from which it was crafted came from Ghana. The chocolate weighed an amazing 9,702 lb, was 224 inches long, 110 inches wide and 10 inches thick and will appear in the Guinness Book of World Records. It is to be sliced up and shared around the lucky inhabitants of Yerevan where the slab, the size of several mattresses laid together, was made. 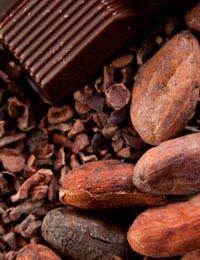 Ghana is one of the world’s biggest producers of cocoa, exporting around 21 per cent of the global total annual. Cote d’Ivoire actually produces more, but Ghanaians pride themselves on having a better quality of chocolate as well as a stronger cocoa-producing industry in which more than three million people work. What makes this all so remarkable is that the cocoa tree, which is called ‘black gold’ in Ghana, is not a native plant. Cocoa is indigenous to the rain forest regions of central and southern America and it was classed as a ‘royal’ plant, whose cultivation by ordinary people was forbidden by death. It was also traitorous to export the tree, but both Portuguese and Spanish invaders stole cocoa seedlings to grow elsewhere and one of the places that they found best suited to the establishment of cocoa plantations was Africa, where colonial territories supported the growth of this demanding and unusual tree. By the 1880s, the Swiss has become focused on chocolate development and the found that the Portuguese-established cocoa plantations on the island of Fernando Po had been visited by Tetteh Quarshie a Ghanaian agriculturalist who, prior to independence, had introduced the crop to his native Ghana by stealing some beans from the Portuguese farms and smuggling them back home. The Swiss were keen to use this export crop in their own luxury chocolate production and for many decades virtually all cocoa produced in Ghana was exported by Swiss chocolatiers. This led to a vast expansion of commercial cash cropping of the cocoa bean. Large farms were created, often owned by European traders who had the capital to hire labourers. These traders travelled to the north of Ghana to hire labourers, who were often little more than slaves, to work on the cocoa plantations. Often these hired hands were men who left their women at home to manage their own farms while they worked for cash on the plantations. By the 1950s the industry was in decline for several reasons, including the cutting of hardwood trees that had previously provided shade for the cocoa plantations and because there were several difficult export policies established by successive independence-focused governments. Today the Ghanaians have begun their own quality chocolate production drive and a focus on cocoa as a national cultural strength as well as a crop. As an example of this new attitude, on 14 February, as well as celebrating Valentine’s Day, Ghanaians celebrate National Chocolate Day. This allows both Ghanaians and visitors to use cocoa, the nation’s most important crop, to show their love. The idea is intended to help celebrate the nutritional and health benefits of cocoa. Chocolates are given as gifts, hotels put on special weekends and menus in restaurants have both sweet and savoury dishes that feature chocolate and cocoa.